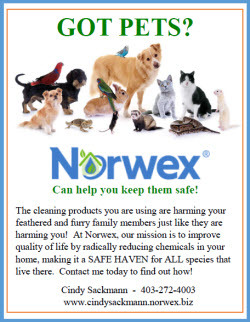 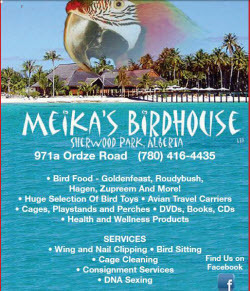 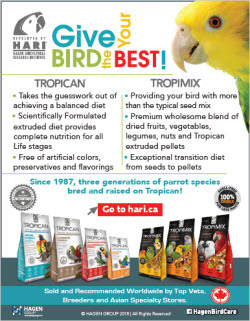 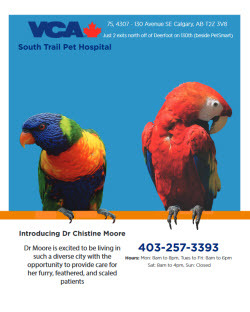 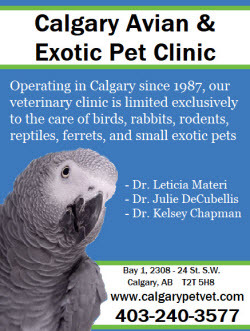 Should you require medical information or assistance for your parrot your first contact should be an avian veterinarian. 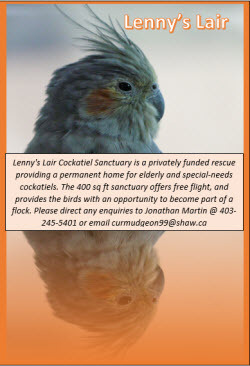 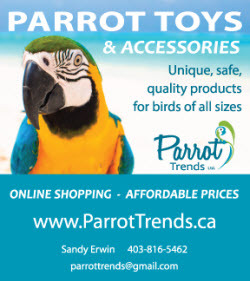 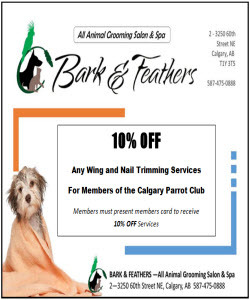 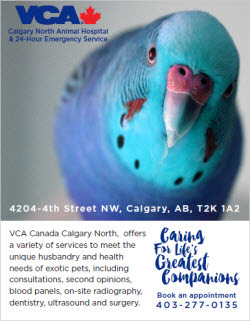 The Calgary Parrot Club was founded in June 1988 and exists to inform and educate on the subject of companion parrots and to provide camaraderie, education and friendship for members in a fun, respectful and judgement-free environment. 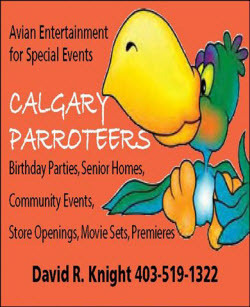 CPC members are encouraged to be involved with the Club – volunteers are welcome and needed to ensure the continued growth of the Club.